Trainer Abel Sanchez was an interested observer of Saturday night’s WBA middleweight final eliminator between Brooklyn’s Daniel Jacobs 34-2 (29) and Maciej Sulecki 26-1 (10) of Poland broadcast live on HBO in the United States. 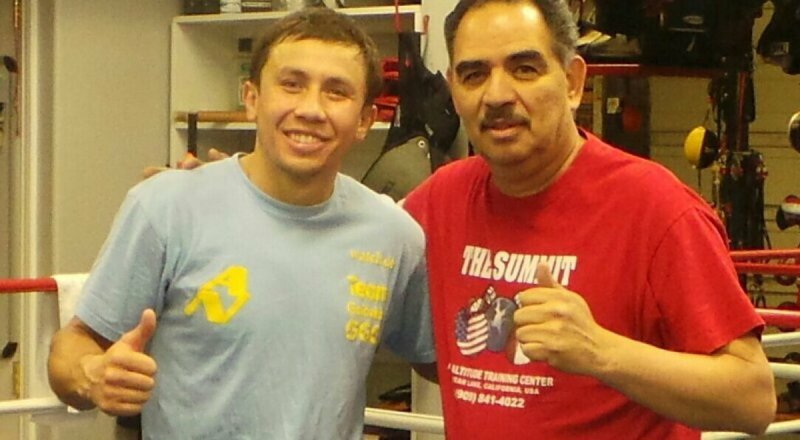 The Mexican trainer of unified middleweight champion Gennady Golovkin believes that his fighter ruined Jacobs when the two fought a closely contested 12-round battle at New York’s Madison Square Garden in March last year. It was the first time the Kazakh bomber had been extended the distance in nine years, breaking a streak of 23 stoppage victories. And it’s not just Jacobs who his fighter has wrecked, say Sanchez. Sanchez’s ominous warning comes just days out from Golovkin’s world title defence against late replacement Vanes Martirosyan at the StubHub Center in Carson, California this Saturday night. “It’s not only Jacobs. If you go back to [David] Lemieux, to [Curtis] Stevens, to [Dominic] Wade, to Willie Monroe, they are never the same. [Martin] Murray also. They are never the same after they go rounds with Gennady. The 32-year-old Martirosyan, a career junior middleweight who has been perched on the sidelines for the past two years, was called out of the bullpen after original opponent Saul “Canelo” Alvarez failed two drug tests in February forcing the cancellation of his highly-anticipated rematch with Golovkin. Last September Golovkin and Alvarez fought to a disputed split draw at the T-Mobile Arena in Las Vegas, Nevada.